Children's imaginations are amazing. It is one the very special and unique aspects of having young children. Of all the ways I help my children continue to develop their imaginations, my favorites are playing outdoors and reading. There is no disputing the benefits of reading; but the benefits of outdoor play for children seem to be less well known. Beside the more obvious health benefits, there are also social and academic benefits. With the holidays in full swing, it can be especially hard to make time for the outdoors. So to help my kids and I make being outdoors a priority, I decided to combine our time outdoors with a simple pine cone craft. My inspiration this year came from the new-to-us book A Wish To Be A Christmas Tree. I was looking for new Christmas books this year and stumbled upon A Wish To Be A Christmas Tree at our library. In the story a tree is decorated using natural materials for Christmas. I won't give a way the whole story, you should read it. The drawing are beautiful and it shouldn't be hard to find a copy. 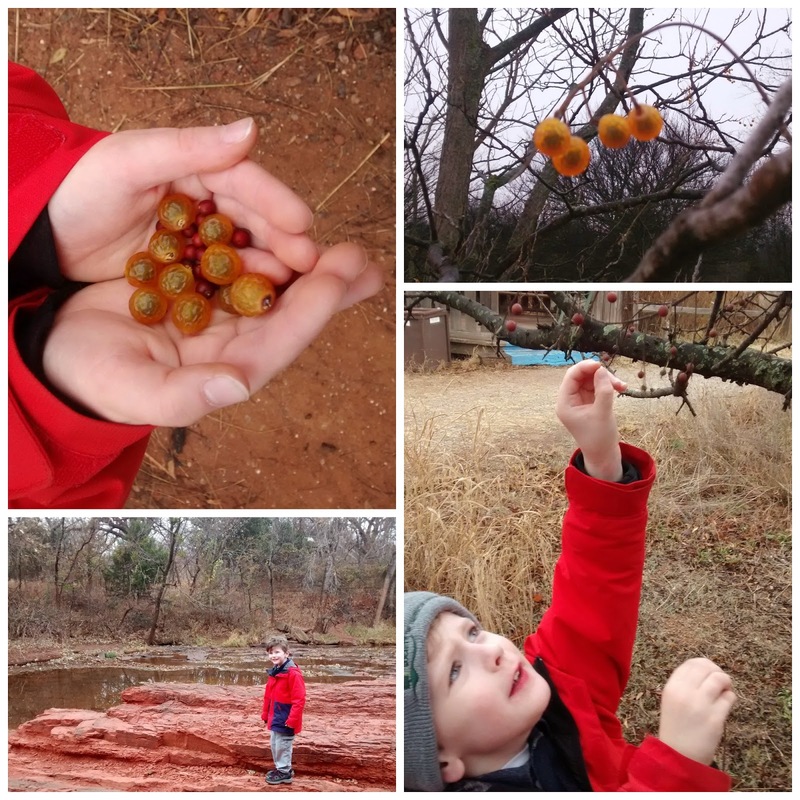 As luck would have it, we went hiking last week at our local nature center and happened upon these beautiful berries that reminded me of the book. I had been wanting to do some sort of Christmas craft and these seemed perfect. If you are looking for decorating materials, you can just as easily find decorating options on a walk around your neighborhood, hiking is just my favorite. You never know what beautiful things you will find when you step out your front door. I love the red rock here in Oklahoma! If you are using pine cones you collect, don't forget to bake them. This gets rid of bugs and hardens the sap. Refresh Style has a great tutorial. 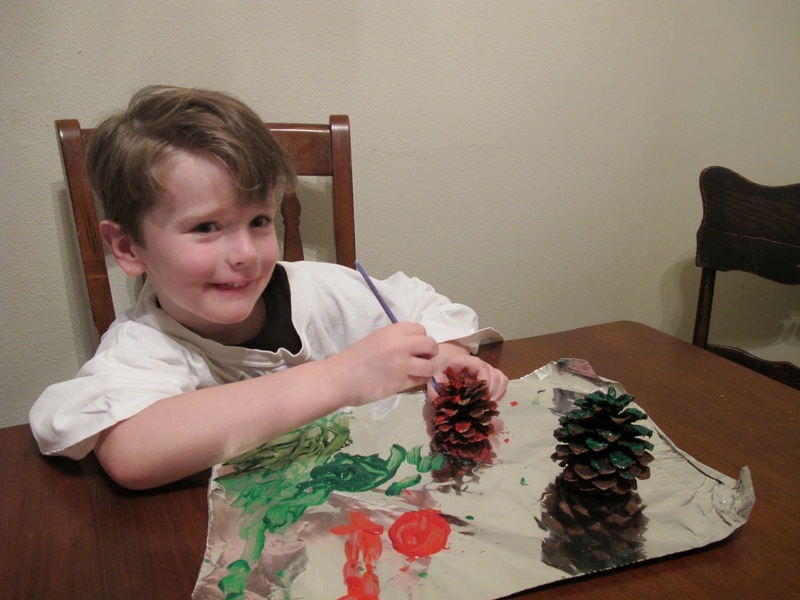 Paint pine cones green, although my son ended up painting one read. Got to love that imagination. Allow to dry completely. You can skip this step. Ours weren't completely green and I still like the way they look. Paint pine cone tips with white, to look like snow. Allow to dry completely. Glue berries onto pine cones using hot glue. I placed the glue, the kids just told me where to put it. My kids are too young to handle hot glue on their own. I made "ice cycles" with hot glue then glued them to the pine cone, with the kid's directions of course. 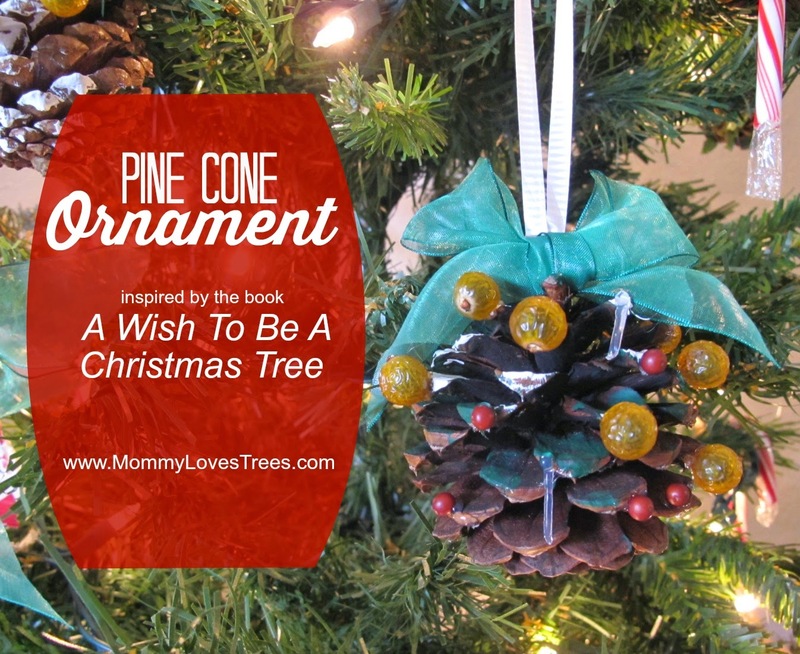 Glue a loop of ribbon onto the top of the pine cone so it can be hung from your Christmas tree. I also added a bow using recycled ribbon for fun. 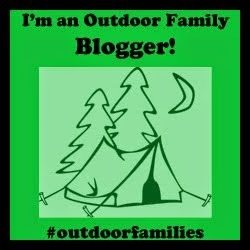 What have you all been doing to get outdoors this holiday season? We will be starting my 12 Day of Outdoor Play Advent Calendar on Monday. Lucky for me Day 3 is now complete. I will be posting our adventures via Instagram. Please join in. 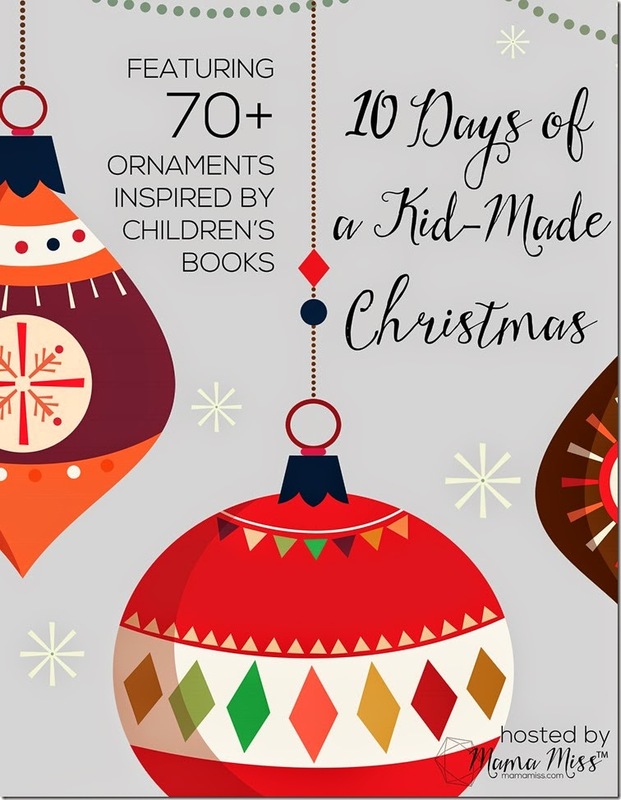 If you are looking for even more inspiration for kid-made ornaments, check out the plethora fun projects over on Mama Miss.